When U.S. President-elect Donald Trump respectfully referred to China’s debased “leader on Taiwan” as “President Tsai Ing-wen” in a historic phone call that still rings around the world, controversy over China–U.S. relations stepped up to the plate. Why would Trump in the spring training of his presidency choose confrontation with Beijing in his first at-bat in the ballpark of international diplomacy? From “a small trick” dismissal to militaristic threats, U.S. President-elect Donald Trump provoked the gamut of reactions from Beijing when his reference to President Tsai Ing-wen (蔡英文) questioned its “one China” canard. The Chinese Communist Party (CCP) alleges “Taiwan is a renegade province” but with reality and history on board, Trump’s savvy China policy hands are all on deck pushing back against Beijing’s ambitions with facts and a righteous vision. It matters not that Taiwan has never been a ruled by any Chinese government as the CCP dictators have claimed since the 1970s. Nor does it matter that the U.S. states “Taiwan’s status is still undetermined” and has been so since the Japanese abdicated title to Taiwan on Sept. 2, 1945, aboard the USS Missouri when General MacArthur received Japan’s WWII surrender. All that matters, is two “super powers” are in dispute and what can come of it. Will China go to war attempting to annex Taiwan? No, and more on that later. Will Trump sell-out the U.S.’ democratic brethren on Taiwan to “Make America Great Again” economically? Doubtful. Trump and China’s President Xi Jinping (習近平) may not be familiar but they know the game because they are playing the same one. The goal in this competition is for each side is to get what they want to serve their political and national interests with uncertainty the key strategy of the game. Furthermore, Washington’s threats and Beijing’s promises challenge credibility these days. Future ultimatums by the U.S. were dampened when president Obama ignored his “red line” in the sand in Syria. Likewise, Xi’s “peaceful rise” promise to not militarize the cemented-over coral reefs in the South China Sea was sunk when new satellite images point to the recent construction of surface-to-air attack installations. If Trump could improve the U.S. economy through a trade “deal” with China he could try, but low wage jobs in China will not move the U.S. and raising the value of China’s renminbi would not help the U.S. economy. In both instances, China’s low-cost production model would simply shift to Vietnam, the Philippines, India or elsewhere continuing the flow of low-cost goods to satisfy U.S. consumer needs. So when Trump says, “I fully understand the ‘one China’ policy, but I don’t know why we have to be bounded by a ‘one China’ policy unless we make a deal with China having to do with other things, including trade,” where is he going? An old joke goes something like, “If you put 10 economists in a room, you will get 11 opinions.” Selling out Taiwan for economic gain from China though is one topic economists do agree on, they don’t agree with Trump. This may lead us to conclude that Trump and his savvy China advisors have begun posturing for future leverage and may be paving a path to de jure recognition of Taiwan. In the coming months, expect Beijing to pump up the rhetoric and increase the current military chest-thumping exercises. But, if President-elect Trump, like Captain Kirk, believes he can stand up to Beijing’s bluster of Borg-like “resistance is futile” intimidation, maybe he’s planning to go all the way and lead the international democratic community to eventually confer de jure nation status on Taiwan. With both leaders exploiting the similar game plans, this could boil down to who blinks first brinkmanship. Keeping a low profile would contribute to appeasing Beijing’s relations with Taipei for the short term. Furthering people to people relations would provide a vehicle for Taiwanese to educate and mobilize support amongst American’s required to oblige Washington’s leaders to one day fundamentally address Taiwan’s plight. Democracy is a push-pull game and change occurs when aware electorates push governments or when confident leaders pull their constituencies to new ground. In the vacuum of a push from citizenry or a leadership pull it has been ostensibly more convenient for capitals to leave 23.5 million Taiwanese “blowin’” in the diplomatic wind. As a result, capitals have given in to the push from Beijing and CCP compliant multinational corporations with hypnotic dreams of riches twinkling in the haze of the vast developing and unwieldy marketplace that is China. The luster of doing business in China is now fading though due to CCP business regulations that are increasingly hostile toward “outsiders,” hence one less reason to ignore our 23.5 million Taiwanese democratic sisters and brothers. Yates also wrote for FOX news that, in reference to the president-elect’s China policy, Trump is off to a good start by ignoring the experts who have led us astray. This would in reality though only serve to create international instability counterproductive to China’s prosperity and CCP authority. The multitude of “future non-cooperation” threats ring hollow for China hasn’t cooperated with international interests in the past unless serving its own interests. 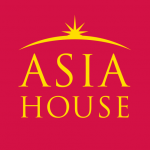 The most recent example of so-called China–U.S. “cooperation” was Xi’s famous agreement with Obama on climate change. This wasn’t motivated by altruism but surely to placate smog-choked Chinese and cultivate CCP popularity. They may not be beholden to democratic popularity but Chinese know revolution. A slowing economy falling short of satisfying Chinese citizens’ ever voracious needs and expectations where, as revealed in the New York Times, there were 500 protests against the state in January 2016 alone, could lead to another insurrection and civil war like the one that brought the CCP to power in the late 1940s. Military action over Taiwan would surely lead to international condemnation and detrimental economic sanctions. Hence the PRC politburo surely can’t go to war over Taiwan, as this would be dropping “the rock” on its own feet. Obama entered the fray claiming four decades of U.S. policy on Taiwan is in jeopardy but the times in Taiwan have changed. Taiwan is now a functioning democracy uninhibited by the oppressive Chinese Nationalist Party dictatorship that fled China claiming title to CCP-ruled China, a foundation of Obama’s outdated policy. China’s expansionist “Borg doctrine” historically assimilated the likes of Manchuria, Mongolia, Xinjiang, Tibet, and now under current U.S. policy, has Taiwan and the South China Sea as “core interests” of their annexation sights. The only true core interest though is maintaining CCP rule over China’s current borders. If Trump could gradually bring Taiwan to de jure nation recognition he would be advancing the cause of democracy on U.S. terms, not kowtowing to an anti-democratic expansionist China while affirming America’s return to diplomatic greatness on the international stage. To do this though, citizens of the U.S. and China will need to be educated. The CCP will need time to re-educate its naïve citizenry who have been lead to believe the falsity that Taiwan is “rightfully China’s territory” to prevent domestic upheaval, allowing Beijing to save face. 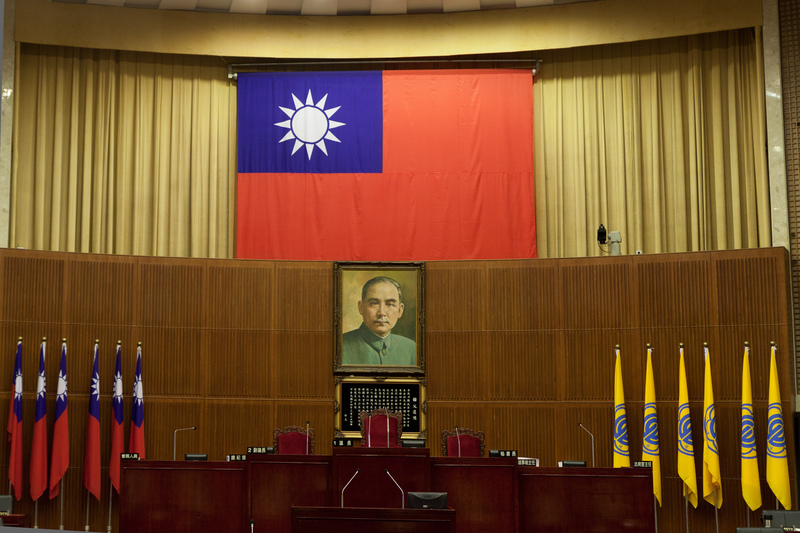 While democratic citizens in the States and elsewhere may learn of Taiwan’s plight and their leaders could then have support for Taiwan’s cause, making de jure recognition viable. Regarding the evolution of opinion required of Chinese citizens for leadership to save face, the CCP may be humming subtle tunes of a deft shift from its hard-line on Taiwan as evidenced in a recent editorial by Hong Kong’s South China Morning Post and as witnessed in recent CCP authorized television dramas astutely observed in The Diplomat. Although a brash rookie in the diplomatic major leagues, this does not deter a self-confident Trump from swinging for the fences. For the China-Taiwan file, the Donald Trump who is often as characterized in private as likable and intelligent as he is wacko in public, may become a pleasant surprise to his detractors. And that outcome would likely put a “W” in the win column for Trump and his businessman-come-diplomatic “Art of the Deal” manifesto. Whether Trump’s fresh approach to the diplomatic plate translates to successful diplomacy though, will likely come down to steely stares between him and his opponents on the field of brinkmanship. Trump may be a diplomatic rookie at the plate of international negotiations but the U.S. presidential office has the leverage of the intimidating biceps and bat of a veteran slugger while Beijing’s most seasoned assets are territorial expansion, hollow menaces and a mountain of influential cash. So get your tickets and stay in your seats because this promises to be a most unpredictable game with the highest stakes. Wayne Pajunen is a political commentator and former employee of Canada’s House of Commons and the Liberal Party of Canada. This article was first published on The News Lens International and can be found here. Image credit: CC by Alan Wu/Flickr.